Defense minister promises that resolution on normalizing Havat Gilad will be approved at next cabinet meeting. 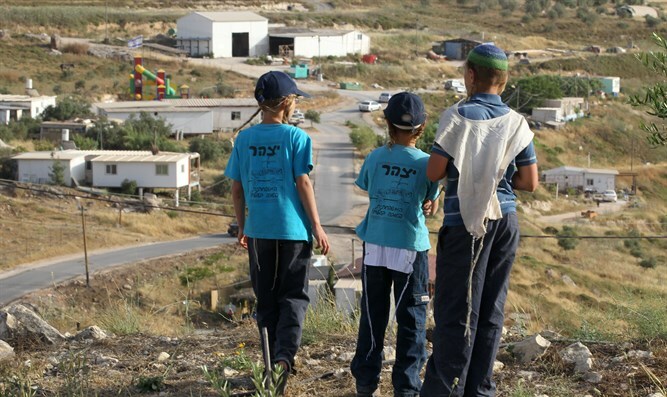 Defense Minister Avigdor Liberman announced on Wednesday that the normalization of the Samaria community of Havat Gilad will be approved at the upcoming cabinet meeting. "We promised and the decision to normalize Havat as a full-fledged community will be brought to the cabinet for approval this Sunday," Liberman tweeted. Yossi Dagan, head of the Shomron Regional Council, said, "This is an exciting moment for us, for the residents of Havat Gilad, for the dear Shevach family and for the entire State of Israel. With G-d's help we will soon be able to celebrate the official recognition of the State of Israel of Havat Gilad." "I want to thank the prime minister, the defense minister and all the government ministers for strengthening the settlement enterprise and for their Zionist leadership. This is a true Zionist and ethical step and a true and worthy response to terror. The murderers and the enemies of Israel must know that not only will they not weaken our grip in our country, the people of Israel will live forever and ever," Dagan said. Havat Gilad was founded 15 years ago on land legally purchased and privately owned by Moshe Zar. It is named for Zar's son Gilad, who was killed by terrorists, but did not obtain official Interior Ministry recognition as a Judea and Samaria community and therefore the government does not invest in its infrastructure. Havat Gilad resident Rabbi Raziel Shevach, a 32-year-old father of six children, was murdered on January 9 in a terror attack near his hometown. Prime Minister Binyamin Netanyahu has several times delayed the vote on the normalization of Havat Gilad. On Sunday, Netanyahu said that that the delay in raising the issue of Havat Gilad is the result of "tactical reasons," and that the issue will be brought up at next week’s meeting, in conjunction with Liberman. Netanyahu also told the ministers that those who criticize the delay in approving the decision know that the issue will come up next week, and they are only criticizing the delay in an attempt to later present the normalization as their own achievement.